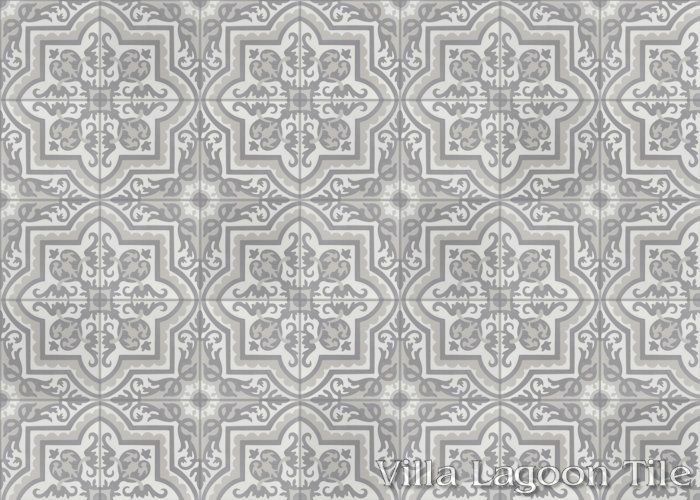 Our "Habanero" cement tile pattern is a classic example of Cuban Tile: intricate florals, repeated in classic geometric motifs. In this case, the major theme is a variation of the star and cross. 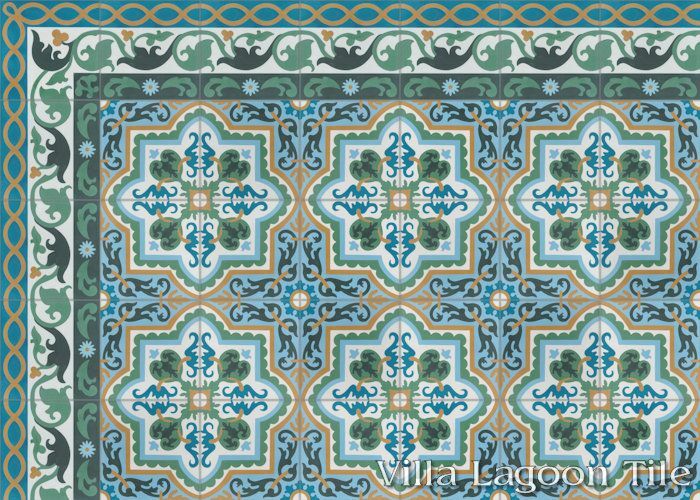 Beautiful gardens are abundant in Cuba. The tropical climate grows many evergreens and vivid flowers. 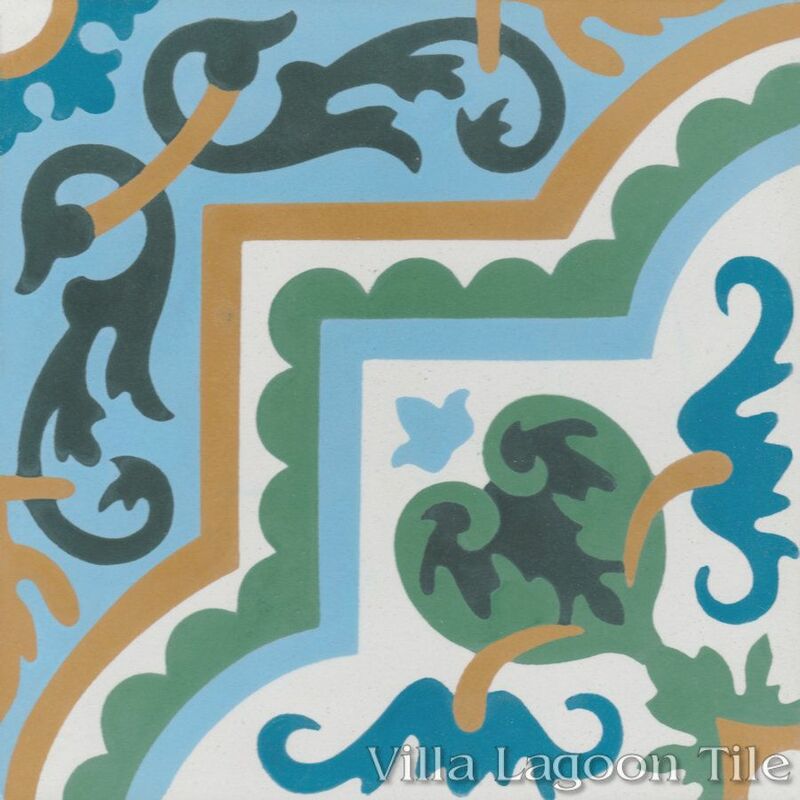 Our "Habanero Jardin" cement tile reflects an ordered garden, carefully laid out and well tended. 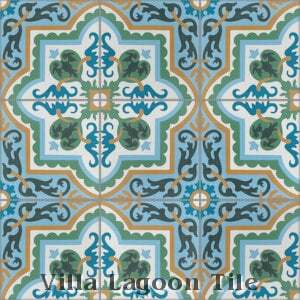 The "Marinas Border" in matching colors completes the landscape. 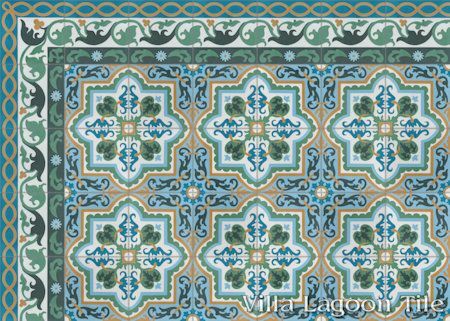 Villa Lagoon Tile's "Habanero" cement tile pattern using White, Monte Verde, Ponderosa, Miami Blue, Channel Blue, and Oro from the South Beach Palette. 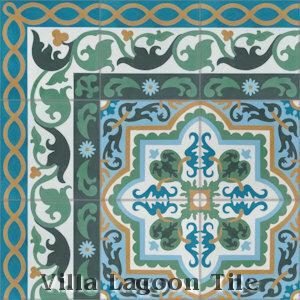 Villa Lagoon Tile's "Marinas" cement tile border patterns using White, Monte Verde, Ponderosa, Miami Blue, Channel Blue, and Oro from the South Beach Palette. 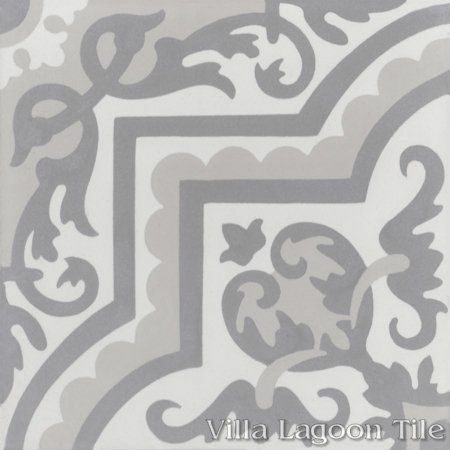 The Cuban cement tile "Habanero Sencillo" in soft gray on gray coloration is delicate and lacy. 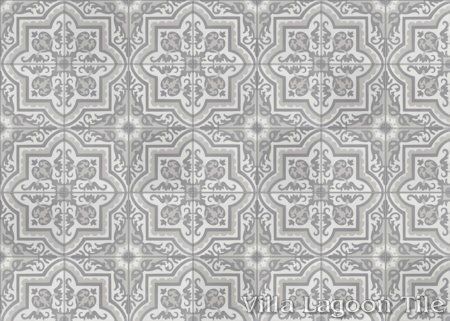 This is a great choice for soothing, gentle effect in any decor. 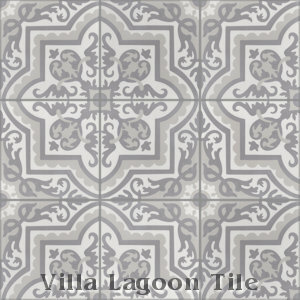 Villa Lagoon Tile's "Habanero" cement tile pattern using White, Putty, and Excalibur from the South Beach Palette.